A safe and peaceful base to explore Swaziland, Sondzela Backpackers boasts a wide range of exciting activities, great value accommodation options and excellent facilities all within the stunning Mlilwane Wildlife Sanctuary: an Outdoor Lover's Paradise. Available activities at Mlilwane Rest Camp include open game viewer drives, hourly/overnight horse safaris, Umphakatsi cultural village visit, stunning aquatic wildlife viewing, close encounters with plains game, self-guided hiking & mountain biking and big game day tours to Mlilwane's Sister Reserves; Hlane Royal National Park and Mkhaya Game Reserve. Recently renovated, the excellent value accommodation options include camping, bunk beds and dorms, private Rondavels and private rooms set within a beautiful garden where warthog and Ostriches are often spotted. Facilities include a games room and Hog n Wart Bar, swimming pool, great-value home-cooked Venison dinners, communal TV lounge, kitchen & laundry area. A FREE Sondzela Shuttle to and from the neighbouring Malandela's Restaurant and Internet Cafe and FREE entry with a Wild Card is also offered. Breakfast not included. Light cooked breakfast - cereal, toast, egg, juice, tea/coffee. Self-catering facilities available. EXCLUDED: Government Bed Levy ZAR7.50 per bed per night. 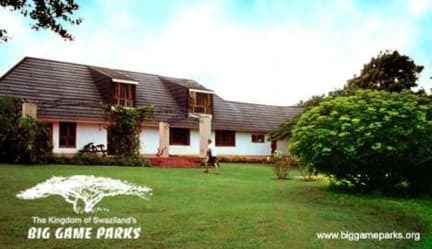 Conservation fee - ZAR55pp is applicable on entry to the park and is valid for the duration of your stay. Alternatively entry is FREE for Wild Card Holders.